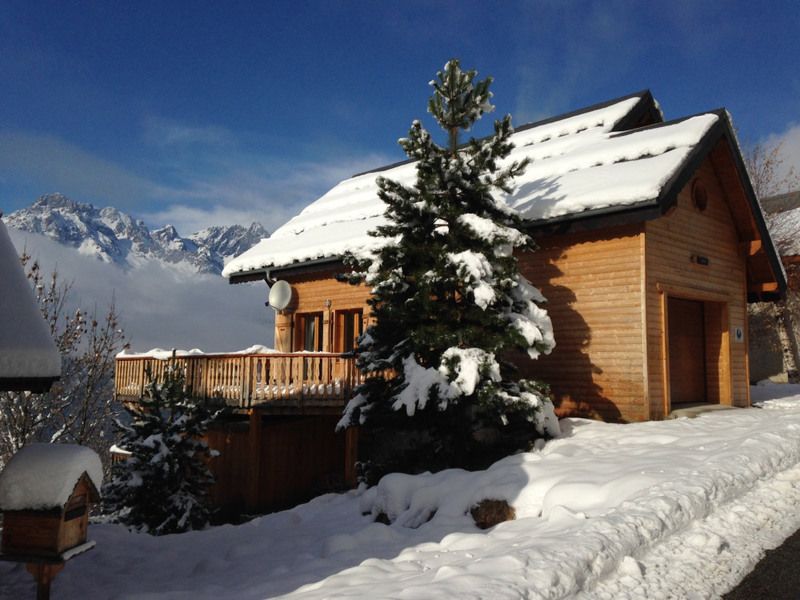 Chalet Jonquille is the perfect base for families or groups of friends. It is furnished to a very high standard. It boasts a large light open-plan living/dining room with cosy log fireplace. It is equipped with a high spec kitchen and has room to accommodate 12 people for dinner. 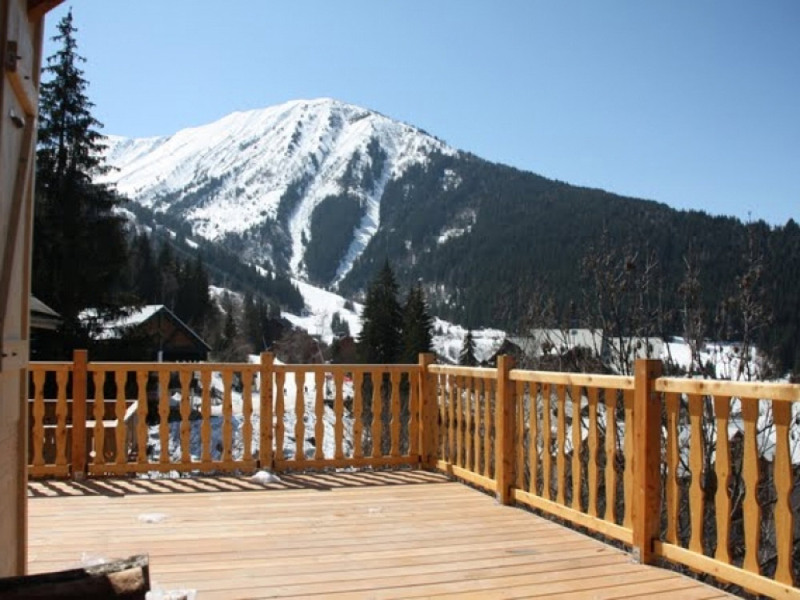 After a hard day on the slopes, why not unwind on the south facing terraces, and use the outside sunken hot tub. Have a glass of wine, and take in the stunning views of the Belledonne massif mountain range. You're on holiday! Optional catering is available as a fine dining, 'dinner party delivered' service. This is provided by a local catering company with an experienced chef. Please contact us for further information and prices for this service. 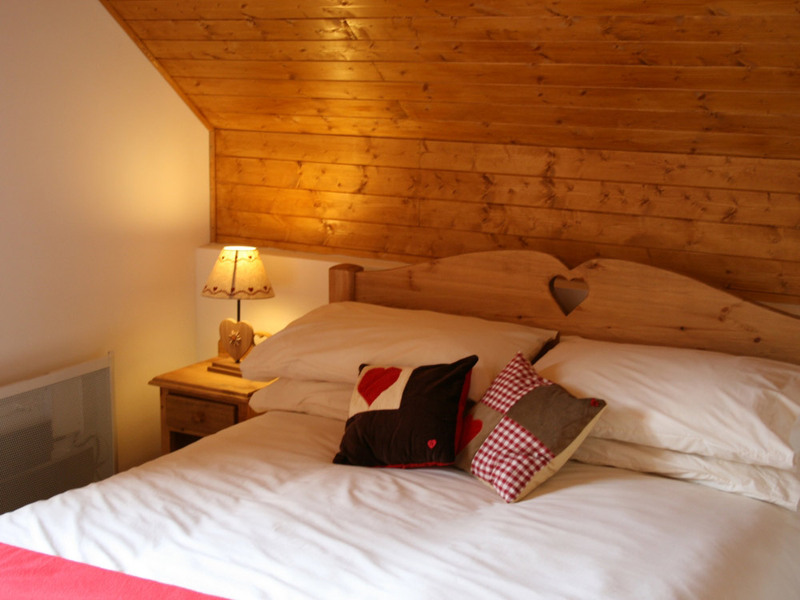 Chalet Jonquille is child friendly with essentials provided (stairgates, high chair, cot etc). There is also a TV room, free WIFI, washing machine, tumble dryer and ski storage room with heated boot rack. The chalet is situated 120 meters from the Alpette high speed gondola lift, which gives quick access to snow sure ski slopes of Oz en Oisans, Vaujany & Alpe d'Huez. Beginner slopes including the popular 'magic carpet' lift and children's magic ski garden are located nearby. Central location with excellent creche and ESF ski school meeting point 200m from chalet. Shops/bars/restaurants also nearby. Four major airports are all close (Grenoble, Lyon, Chambery & Geneva). Transfers can be organised on request. TGV to Grenoble is also a good option (transfer is c. 55 Kms). If you require catering, please contact us for more information on this service.